I dono why? My passion to baking and cooking starts back again and its a fun hobby by cooking loads of food to eat and share. What's cooking in my kitchen for snack. Simple recipes goes here. 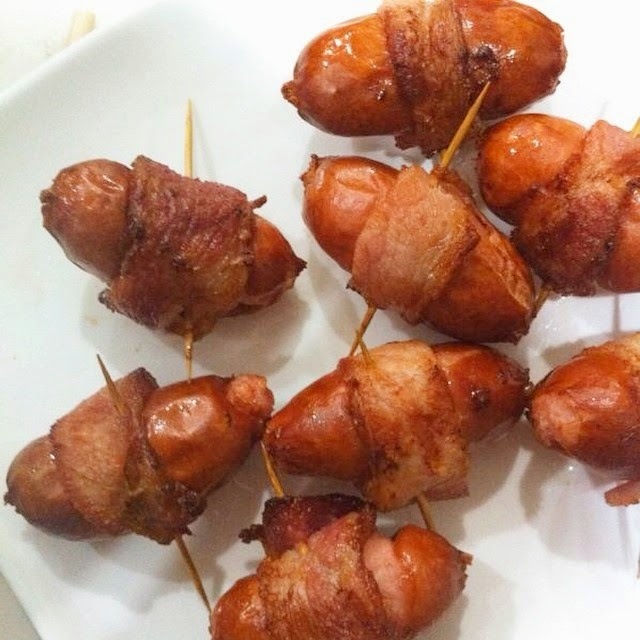 I cook: Pigs in the Blanket using my Philips Air Fryer. Simple and nice. Oh ya, no oil needed! Instruction: 1. Wrapped the sausage with the bacon and pin it with the toothpicks. 3. At around 3-4 minutes, flip them to see all fully cooked. 4. Served them with chilly sauce.